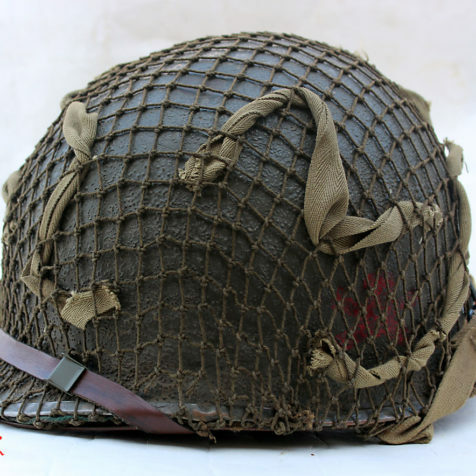 This 504th M2 has been restored to a post-Normandy configuration. 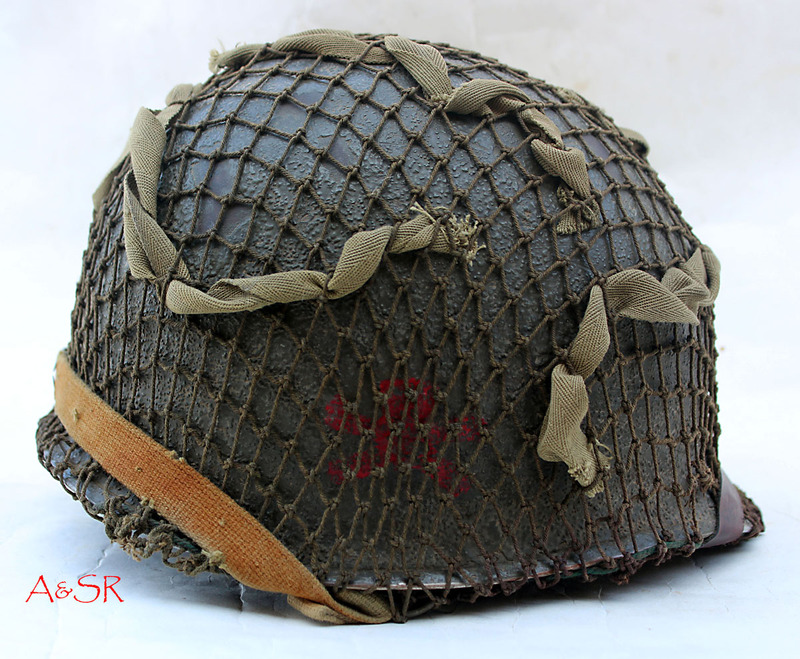 The stenciled red skull and bones used by the 504th during Operation Market Garden. 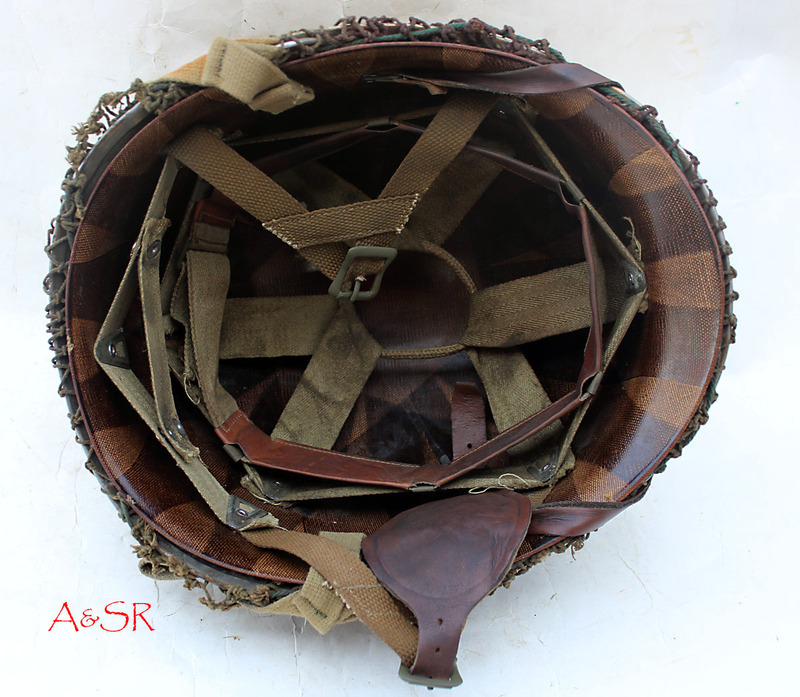 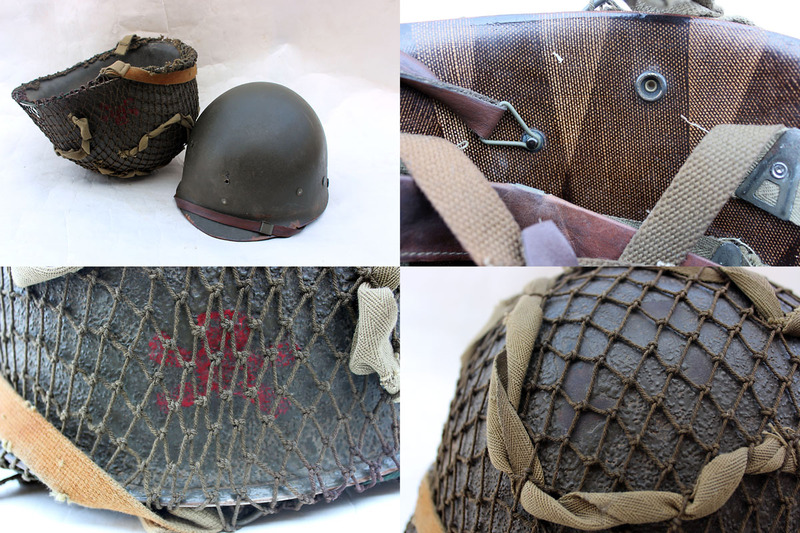 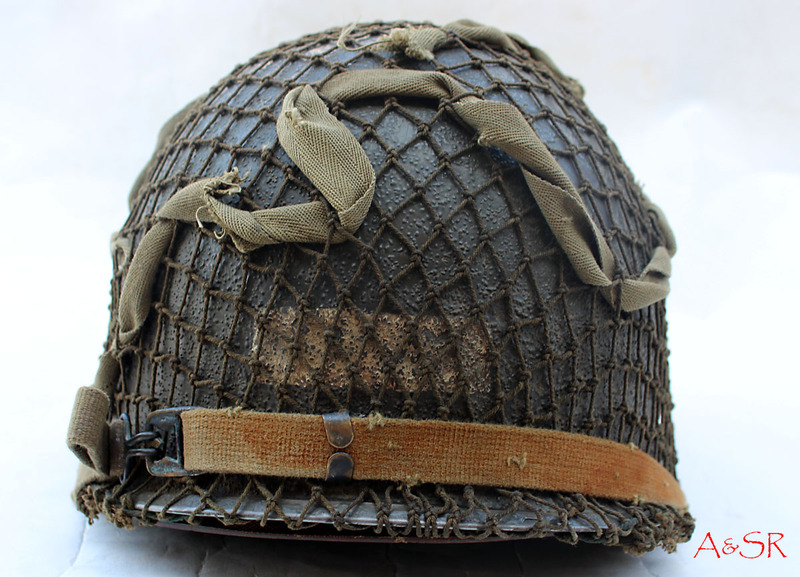 The helmet has been fit with a British style net with HBT scrim, both typical of the 504th.